Our expansive indoor and outdoor waterpark has pools, tubs, slides, and tons of other pool activities and structures making us the perfect aquatic destination in Burlington. Kids of all ages can’t get enough of the year-long aquatic experiences at Cedar Springs, and parents love adult-friendly options that allow a chance to pull up a patio chair and relax. Our waterpark has so many elements, you and your kids won’t know where to start! There isn’t a child out there who doesn’t love our waterslides. Our heated outdoor lap pool has a 90-foot waterslide and our kiddie pool has a child-sized slide of its own, perfect for little ones. Older children and teens (and adults too!) love our 140-foot-long waterslide that is one of the largest in the Burlington area. Scoot your way into the water with a squeal! 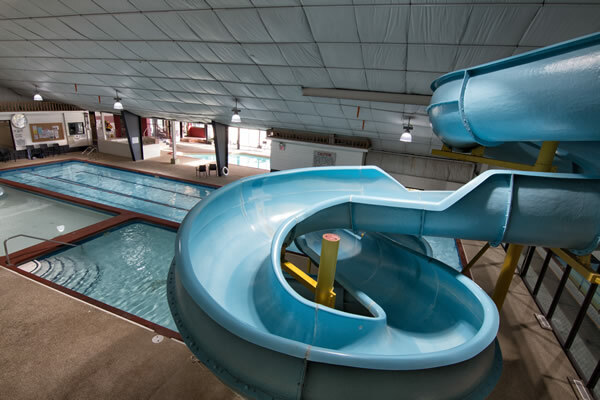 Our indoor and outdoor waterpark means access to all eight pools, with fun mushroom water features, diving boards, and waterslides, all to make the most of aquatic fun. 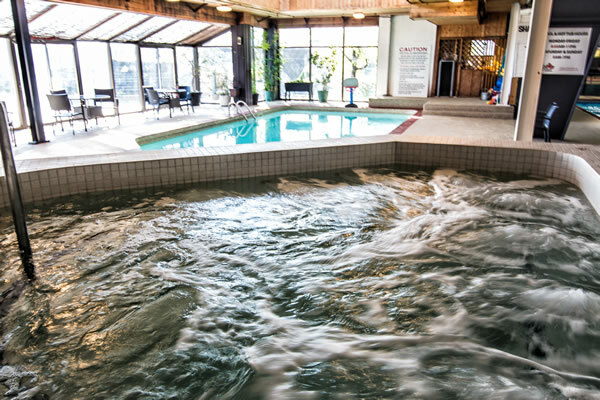 When the fun is over, or after a workout, ease yourself into our co-ed hot tub, where the heat and massaging jets with soothe and repair tired muscles. Outdoors, smaller children will love our splashpad, which has water features, soakers, sprinklers and more, making it easy to cool off and have fun on hot summer days. All that water fun making you hungry? Grab a snack or drink from our fully licensed outdoor bar for you and the little ones so the fun can continue, all day long. Don’t want to head indoors to keep the fun going? Our outdoor waterpark also offers basketball courts, clay tennis courts, beach volleyball nets, and more.